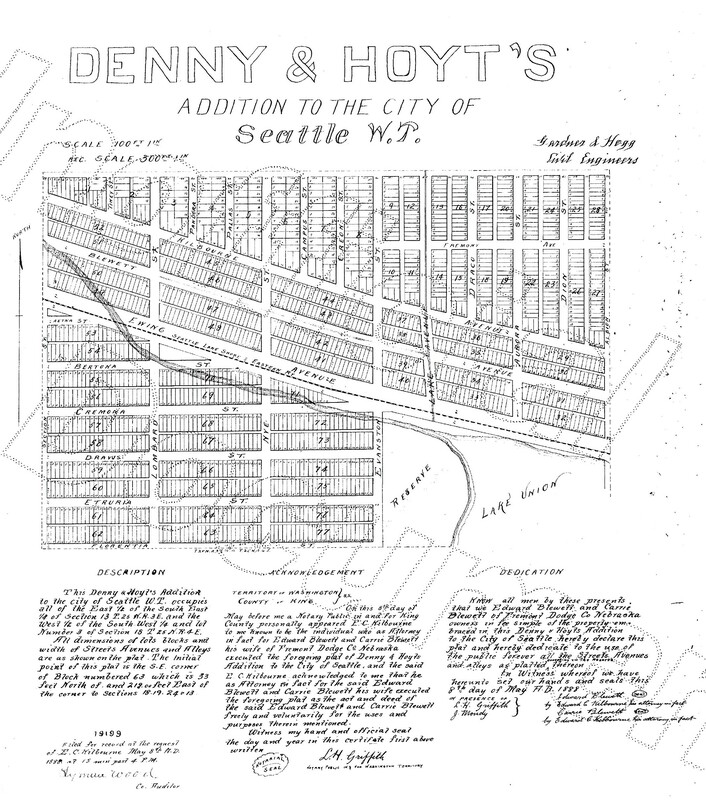 The Denny & Hoyt plat map was filed in May 1888. The top line is North 39th Street. The southern boundary is Florentia Street which today is just south of the Fremont Bridge. On the west, the plat boundary is 3rd Ave NW and on the east, Albion Avenue.